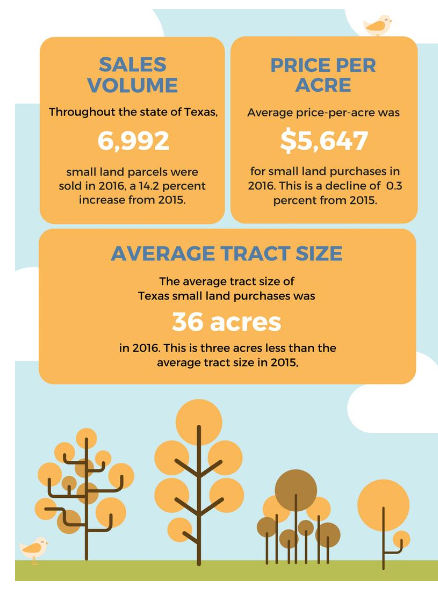 ​​AMARILLO, LUBBOCK – The average price per acre of “small land purchases" in the Texas Panhandle and South Plains shot up 34.8 percent from 2015 to 2016, according to a recently released Texas Association of Realtors study. Small land purchases in Region 1, which spans from the top of the Texas Panhandle to Midland and Odessa, are defined as 159 acres or less. They typically include rural farmland or ranch properties but do not reflect oil and gas mineral rights acquisitions. Buyers spent an average of $2,374 per acre on 163 such purchases in Region 1 ​​​last year, up from $1,761 in 2015. The 34.8 percent increase was 2.5 times that of Northeast Texas, which had the state’s next-largest increase.